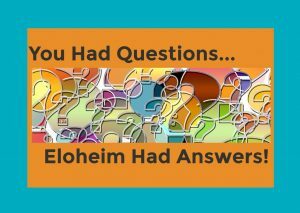 Eloheim and The Council » News » Who is/are the Eloheim anyway? 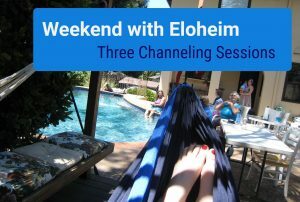 << Previous Post How does Eloheim come in to speak? Next Post >> How did you first meet Eloheim? I have been in conscious awareness of the Eloheim since the mid 80’s and have all the Mt. Shasta books, I Am Presence books, Bridge to Spiritual Freedom books, AD Luk books, and many, many others. I have not found any prints of what they look like such as the ones available of the ascended masters- Have you ever seen any of the Eloheim. I have an assignment that involves what they look like. Can you help me out with this? I don’t see the Eloheim. However, one of our regular participants sees him/them as an older man with long white hair and a white beard/mustache. It always sounded a bit like Gandalf to me! As for the chosen appellation “Eloheim,” I find it quite a suitable name. I study Kabbalah and am fond of Judaism. Elohim (Alef, Lamed, Vav, Heh, Yod, and Mem Sophit)–incidently, how something such as this is spelled is irrelevant because it comes from another system of communication, and as long as it’s phonetically appropriate, it’s A-OK–means God(S). Not only is it plural but it connotes bisexuality, both the feminine and masculine currents within love and life–within the essence of being. Now, there is the greater source that is beyond the 72 names of God, Elohim being one of these 72. It is Ain Sof Or, which is “Light Without Limit.” And then, in superlative fashion, there is Ain Sof (Without Limit) and then Ain (Nothing, but as in NO-THING). Indeed, the ineffable all that is IS NO-THING because it is EVERYTHING. These are some of the “secrets” of the Kabbalah, now exposed, and I assume it is concomitant with the teachings of Eloheim. Their number is very interesting and leaves me wondering . . . .
the Eloheim are a group soul because in the Upper-Creation Realms (10-12th Density) ALL IS ONE and there is a loss of the sense of “I”.